Mix in canned tomatoes, beans, and spices. Add the water and stir to combine. Bring the chili to a boil, then reduce heat to low and simmer covered for about 30 minutes until the chili thickens. 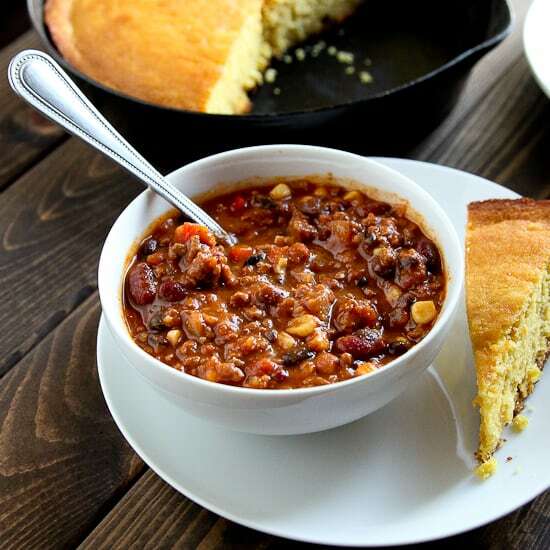 Serve with freshly baked corn bread.